This is something I almost never write about, but financial priorities are something I think about a lot. I grew up poor and knew I didn’t want to be poor for the rest of my life. I’ve been fortunate with scholarships and job opportunities, but I’ve also worked hard and prioritized my long-term goals over instant gratification. 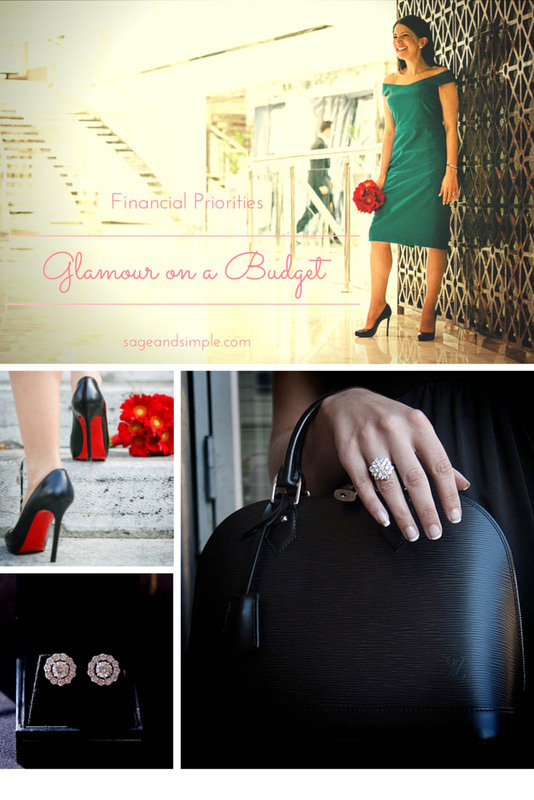 I’m a born frugalista… living with glamour on a budget. I’ve never paid a penny of credit card interest, I bought a new car on my debit card, I’ve already paid off one mortgage, we’re on track to pay off our current mortgage in the first half of this year, and are otherwise debt free. A few months ago, the bank called us in for a meeting where they gave us fancy chocolates and encouraged us to spend more. We live well, but we’re not spenders. Denmark has the highest rate of personal debt in the EU and we’re happy to buck the trend. Robert comes from a long line of people who believe that if you look after the pennies, the Pounds will look after themselves… and isn’t it more fun to spend Pounds than pennies? I don’t love our apartment, Robert would probably even tell you that I hate it. I think it’s too small for us, Opie, my stockpile of sale goods, and The Oik every other week. It’s not what we would’ve bought, but it’s a sound investment in a hot neighborhood and Robert bought it at the right time. So while we dream of (and can easily afford) something much bigger with at least twice as many rooms, we also know that Denmark is a short term situation for us and that the wise choice is to sit tight. Not having enough space means that we need to carefully consider every item we bring in. This minimizes impulse purchases and causes us to constantly curate our things. I’ve said before that Denmark has 25% VAT. On one hand, this makes everything ridiculously expensive, on the other hand, it makes it easy to save money because I refuse to pay high prices for mediocre quality. The problem with this crazy VAT is that people don’t magically have more money to spend, so manufacturers cut corners in order to hit a comfortable price point, which results in very poor quality. We refuse to give in. So what do we do instead? If you’ve been reading my blog for awhile, you know that I’m a passionate secondhand shopper. Robert doesn’t share my enthusiasm. He shops a lot when we’re abroad, preferring to buy a few quality items at a time that will last… Hugo Boss, Drakes, Joseph Cheaney & Sons, etc. I do the same with handbags and shoes. £1,200 for a Louis Vuitton handbag may seem like a lot, but it’s likely to be the only one I’ll buy in the next 5 years, and they’ll be prying it from my cold dead hands. I also have a jewelry habit, but buying vintage pieces means they’ll hold their value, and with such beautiful jewelry, it doesn’t matter that I’m wearing secondhand clothes. If I can buy a new, poor quality outfit in Denmark for $200 or get something of similar or better quality for $20 secondhand and put the rest in my jewelry/shoes/handbag fund, guess which one I’ll choose every time. Someone once complimented me on my coat and I confided in her that it was secondhand H&M. She was shocked, “but you have a Chanel sunglasses and a Gucci bag!” I rest my case… people are too busy looking at the Chanel shades, the Gucci bag, and Elizabeth Taylor to notice the H&M coat. One of my handbags is worth more than my entire everyday wardrobe. You don’t have to spend a fortune to look and feel fabulous, you just have to spend wisely. I invest a fair amount in skincare. I keep up to date on the latest information and spend what it costs to have the best products and equipment. 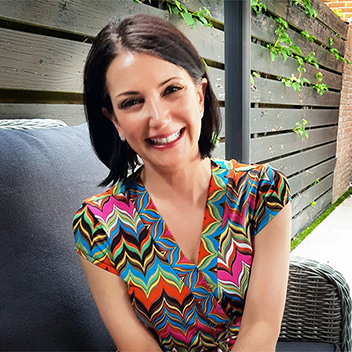 I use a dermaroller, anti-aging LightStim, peptide serums, and sunscreen. I have monthly facials at the local cosmetology school, where they’re half the cost of going to a day spa, and I occasionally do the same for manis and pedis. I wear a simple, classic hairstyle which only needs to be cut 4-5 times a year and I color my own hair with henna and indigo, which costs about $8 per coloring. I cringe when I think back to how much I spent maintaining a bob in my 20s with trims every five weeks! I commute 160 km per day, which costs about $22/day in fuel, so I carpool, which saves wear and tear on my car and cuts the cost of my weekly commute to $22 (give or take). Of course I’d love the freedom to decide when I leave home and work, and to not have to listen to Danish pop music while feeling carsick for 2+ hours everyday, but is that worth a few thousand dollars a year? Not to me. Like most families, a big part of our budget goes to food. I make 99% of everything we eat from scratch. I make a weekly meal plan based on what’s in season and what’s on offer with some wiggle room to adjust based on what’s been reduced for quick sale. It’s very Danish to shop multiple stores for the best deals or to gather everything on your list, so I shop the Danish way, making my grocery shop rounds during my lunch break a few times a week. Fortunately I work within walking distance of five grocery stores! I love dining out, but it’s expensive and the vegetarian options are usually poor to nonexistent. I made pizza for The Oik and his friend the other week, and they said it was better than restaurant pizza! The same goes for falafel and Indian. We cannot get better food out around here, which on one hand is a drag, but on the other hand saves us quite a bit of money. We go out once in awhile when a rare Groupon deal with a vegetarian option comes up, otherwise we keep it simple, stay in, buy nice wine, and learn new things. Travel also takes up a pretty big chunk of our spending. Last year, Robert and I took seven trips, and next week we’re going to Greece. We still haven’t decided on a honeymoon because we already travel every other month. I consider myself very fortunate to have Europe at my doorstep, and a willing partner. We have a two year plan and a seven year plan. We think a lot about money, but we don’t worry about it. When Robert and I merged lives and bank accounts, our financial picture changed significantly, but we haven’t fallen victim to lifestyle inflation. We live in the fifth most expensive country in the world, and we’re still socking away well over 50% of our net monthly income. From the outside, it probably looks like we have a pretty glamorous lifestyle, but the truth is that we live quite simply and intentionally. This was *such* an interesting post – thank you! Denmark seems shockingly expensive to me and I’ve always wondered how people manage there if they aren’t on expat packages. In past visits there, I’ve paid $100 for a bag of ordinary grocery staples from a discount grocery store and $50 for ice cream cones for six people! I’ve a question about your (incredibly beautiful!) jewelry. Danish women don’t seem to wear many precious gemstones (likely because they cost so much more there) on a daily basis. Do you feel self-conscious wearing your bling? Also, is it true that many people go to Germany to buy big ticket items like appliances? You’re welcome :) Unfortunately, those prices sound about right! The other day I paid about $5 for 8.45 oz of hydrogen peroxide! I just have to not think about it. I have dark hair and don’t look or dress anything like most Danish women, so I stand out. It’s obvious that I’m foreign and I don’t really think much about it. I feel very safe wearing my jewelry here because most people assume it’s fake. I’d had Elizabeth Taylor (my diamond cluster ring) made for my middle finger, but decided I liked it better on my ring finger, so I went downtown to see about having it resized and one of the salespeople said, “those rings are usually adjustable.” Another jeweler hadn’t much experience with platinum and wouldn’t venture to resize it. I ended up having to wait until my next trip to London. People go over to border to buy big ticket items, but also for dentists, car repairs, groceries and beverages. The price difference is astounding! Even factoring in time and fuel at $8/gallon, it’s still worth the trip. Could you please tell us more about your home workouts? Would love to hear what videos you are now using. Thanks! Thank you for sharing all of that. It is interesting to me and inspiring as well. I second Michele’s request: I would also be interested to learn about your workouts. I do belong to a gym but it is only $10 a month and I supplement it with walking, hiking and yoga DVDs at home. I’d love to know what DVDs you enjoy. I’m always looking for new things to try. I’ve been reading for a while, but have never commented. When I first started reading, I may have assumed you lived a much more extravagant lifestyle. Shame on me for assuming things-It just goes to show that you can have nice things, and a quality life AND not have loads of debt. I am really impressed with your ability to budget and your smart choices. This is really great information! I like the perspective of financial priorities. I’ve found that the same concept has worked for wedding planning as well. My fiancé and I talked about what are priorities were (for him, a live band, for me, the photographer) and we didn’t limit ourselves on those things. Instead, we are finding ways to save on things that aren’t as important to us, like the catering, DIY-ing decorations instead of buying new, etc. When I started planning our wedding, I could see our bank account hemorrhaging, so we opted to elope. I sprang for a Gucci dress and Christian Louboutins, which cost about the same as a traditional wedding outfit, and I’ve worn them again. The photographer was our big splurge, unfortunately, he was great at composition and horrible at post-production, so I’ve had develop all of our photos myself, not cool! The photos on his website were great, so either someone else processed them, or he got greedy and lazy. I loathe the wedding industry. Best of luck with your wedding day! Sage, I appreciate your candor, your willingness to share tips, and your no-BS attitude! Thanks for that. This is awesome! I want to be glam too. Currently I wear mostly yoga clothes since I have two young children. I’ll be glam one day! Thanks for linking up with Share the Wealth Sunday! I’m sharing this post on my Facebook page this week.